Today’s the Day: An Update | Hapa...Shot the Food! ← Hey! Council! Leave Them Trucks Alone! We miss you, Eat Wonky! UPDATE TO THE UPDATE, 8:30 pm: The hearings are complete, and council has up to June 22 to vote the regulations up or down. DCist has a good recap of today’s events, as does Washington City Paper’s Young and Hungry Blog. As I post this, the DC Food Truck Regulatory Hearing is heading into its fourth hour. You can listen to the hearing here. Also check out the #savedcfoodtrucks hashtag on Twitter. @DMVFTA and @timcarman are livetweeting the proceedings. 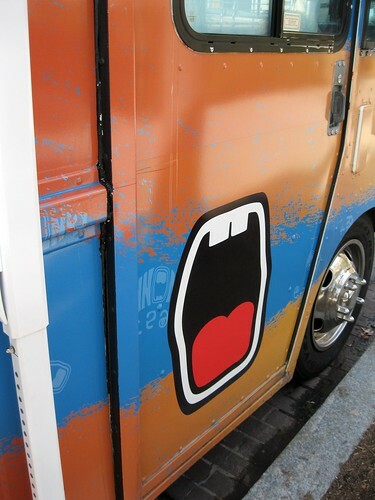 Posted on May 10, 2013, in food trucks and tagged food trucks. Bookmark the permalink. Leave a comment.